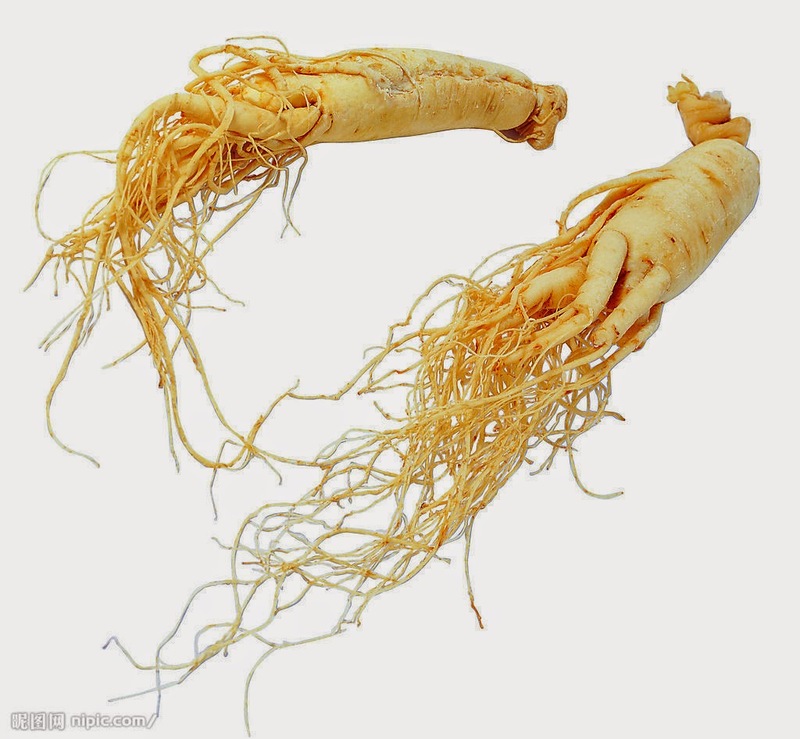 Ginseng is a short, perennial plant of the Araliaceae botanical family. It grows naturally on the slopes of ravines and shady, well drained mountainous hardwood forests. It bears five compound leaves on a single stalk at maturity. An insignificant gray flower blooms each spring and by late summer has turned into a cluster of crimson fruit from which the ginseng seed is obtained. The plant grows between 7 to 21 inches in height when wild. The root is creamy yellow or white resembling a parsnip with rootlets that branch off, sometimes taking the shape of a human body. The root is the part that is consumed. Ginseng is the most widely used herb in the Orient. 0 Comment for "About Ginseng"